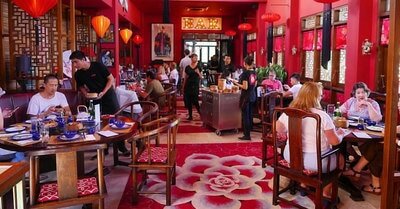 Happy Chappy is a convivial family-style Chinese restaurant inspired by a blend of traditional Chinese culture with a hip, modern influence. Make no mistake: Happy Chappy’s whimsical take on upscale Chinese dining is tempered by one of the finest, state-of-the-art kitchens serving the most delicious traditional Cantonese-style Chinese food in Bali. Guests are delighted by Happy Chappy’s inviting and contemporary environment with moderately priced, yet thoughtfully plated dishes. Our Chefs, have worked tirelessly recreate favorite Cantonese-style dishes that westerners know and love. The food is simple and uncomplicated, made with fresh, high-quality ingredients – each of which evokes a nostalgia for childhood Chinese food delights. Family style servings make sharing part of the Happy Chappy experience – from the classic Honey Prawns to a spectacular Peking Duck. Drive-up take-away is also available so that guests may enjoy a delicious meal at their hotel or villa. With a total seating capacity for 160 diners, Happy Chappy features a large and inviting dining area perfect for groups, families or couples. 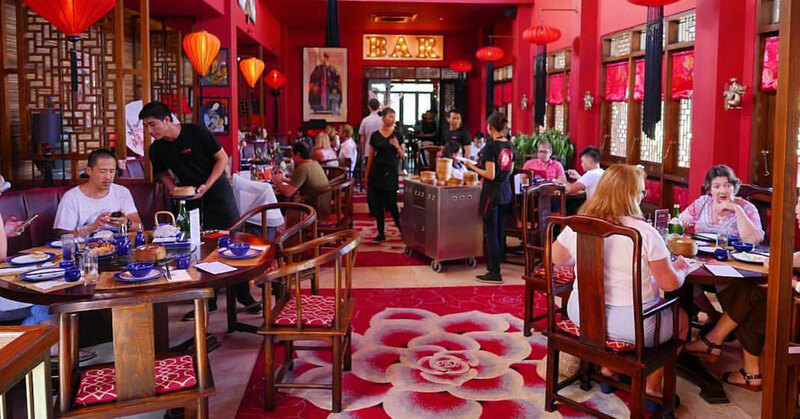 The old-shanghai inspired décor is contrasted by pops of modernity and elegance. Areas of the dining room can be configured to create additional privacy for large parties celebrating life’s special events. The Fortune Pond, overseen by a life-sized statue of Happy Chappy, invites guests to drop in a coin and make a joyful wish to accompany their incredible meal. The Dragon’s Den bar is a chic lounge dripping in deep reds, evoking a feeling of mysterious decadence. This Chinese underground-inspired bar features one of Bali’s largest live fish tanks to add an element of mystique to this mischievous side of Happy Chappy. Guests can indulge in an intimate conversation while sipping on a hand-crafted cocktail. 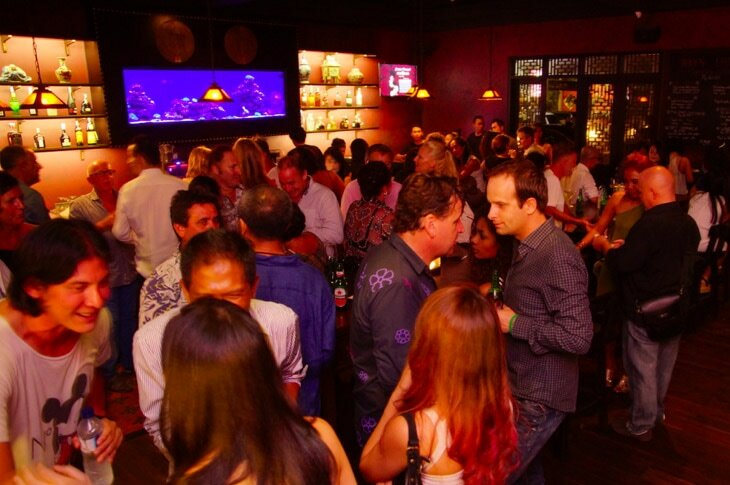 The large outdoor patio area is perfect for enjoying Bali’s gorgeous evenings under the stars. 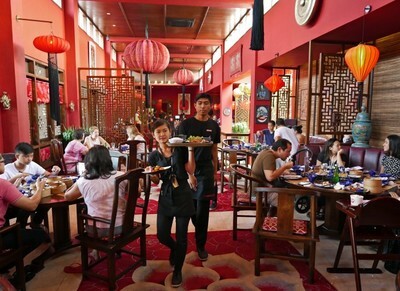 Its warm and upscale ambiance is the perfect place to enjoy a signature dim sum platter with group of friends. Unique weekly specials and promotions keep guests returning multiple times during their visit to Bali and the quality and consistency of the food ensure that Happy Chappy is a must on any future trip. At Happy Chappy, we don’t just offer Chinese food. We provide memorable moments of Happiness.